Almost all industrial processes produce waste, and much of this waste is reusable and recyclable. If your company produces industrial waste near Atlanta , a waste management company that specializes in industrial recycling can offer your company recycling tips that will help you reduce, reuse, and recycle your industrial waste. Here are some of the primary benefits of industrial recycling. Recycling your company’s industrial byproducts and waste can save your company a lot of money by decreasing your disposal costs and material costs. A waste management company can advise you on how to reduce the amount of waste that your company generates, allowing you to spend less on waste disposal and recycling. They will provide analytical data and reporting and will help you improve your site logistics, which will allow you to manage your costs and reduce your overall expenses. Industrial recycling preserves the earth’s natural resources by decreasing the demand for new materials. Recycling also conserves energy by reducing greenhouse gas emissions and decreasing the demand for products made from manufacturing processes that are very energy intensive. For instance, scrap metal recycling reduces the energy requirements of manufacturing new tin and steel products by 60-70%. Recycling just one ton of steel eliminates the need to mine 2,500 pounds of iron ore and 1,400 pounds of coal. In addition to saving your company money and helping you become more eco-friendly, industrial recycling also makes your company more valuable to customers and investors. As people become more aware of the increasing taxes and burdens we’re placing on the environment, they want to align themselves with environmentally friendly companies that are doing their part to conserve the earth’s natural resources. If your company implements sustainability programs, such as a zero waste initiative or an industrial recycling program, you can also become eligible for special programs and certifications. These programs and certifications can lead to new business opportunities, and increased savings for your company. 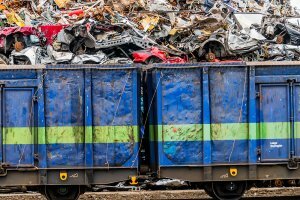 If you are considering a dumpster rental in Atlanta for your home or business, you may want some guidance on the size and type of dumpster you need. Dumpster rentals are typically available from waste management companies, and they come in a variety of sizes. Before you rent a dumpster, watch this video for tips on choosing the right dumpster size. For small home remodeling or renovation projects, you won’t need a huge dumpster. For commercial construction or demolition projects, you will probably need to rent a rolloff dumpster. Watch the full clip for more advice. When you own a commercial property, you need a comprehensive waste management plan to prevent health and safety hazards, and maintain the appearance of your building. Waste management plans in Atlanta include recycling, dumpster rentals, trash pickup, and waste disposal. These services are necessary for your business to run smoothly and effectively. Here are some tips for choosing the right waste management plan for your commercial property. Recycling affords you company the opportunity to reduce waste, and reuse and recycle certain materials. A recycling center can handle paper, electronics, wood, scrap metal, cardboard, plastic recycling. Recycling bins should be placed around the building, and employees should be trained to understand what materials can be reused and recycled. A commercial recycling program benefits your company by cutting waste management costs, and allowing you to become more eco-friendly by reducing the unnecessary production of materials. Waste analytics is a significant service that can save your company money. A comprehensive waste management plan should include data that can make your waste disposal services much more efficient. This data includes information about your waste production patterns, and the type of waste that is disposed of. Waste analytics services make it easier to schedule your trash pickup and modify your waste disposal practices so that you can reduce waste, reuse salvageable supplies, and recycle valuable materials. All of these tools will lower your waste management costs and have a positive environmental impact. Industrial waste management in Atlanta is a crucial service for any business whose processes include manufacturing or production. Industrial activities produce a significant amount of waste, and without a comprehensive waste disposal program, the health and safety of your employees may be at risk. With so many different categories of industrial waste, it’s important to understand what materials can be reused and recycled, and how to properly manage and reduce waste disposal. Here are some facts about the different categories of industrial waste. 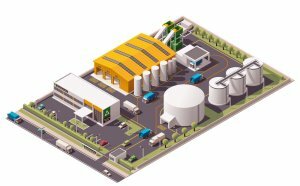 Chemical waste is typically generated by factories, processing centers, warehouses, and plants. This waste may include harmful or dangerous chemicals and chemical residue, and waste disposal must adhere to careful guidelines. These guidelines are instituted and regulated by various government and environmental agencies, such as the Environmental Protection Agency, and the Occupational Safety and Health Administration. There are generally fines associated with non-compliance. Chemical waste must be segregated on-site, and waste disposal may need to be handled by a specialist to ensure compliance with health, safety, and legal requirements. 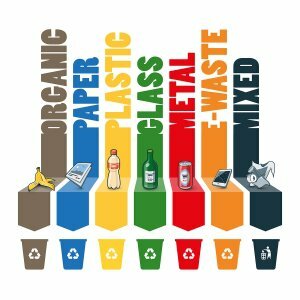 In industrial services, solid waste includes a variety of different materials, including paper, cardboard, plastics, packaging materials, wood, and scrap metal. Some of these materials can be reused and recycled by a recycling center. If you don’t have a comprehensive waste management plan that includes recycling, your waste disposal is not going to be as cost-effective or environmentally friendly as it could be. A recycling center can process the majority of industrial solid waste, effectively reducing your waste disposal costs. Toxic and hazardous waste is comprised of materials that can cause serious health and safety problems if waste disposal is not handled correctly. This type of waste typically includes dangerous byproducts materials generated by factories, farms, construction sites, laboratories, garages, hospitals, and certain production and manufacturing plants. The EPA and state departments regulate toxic and hazardous waste disposal. This waste disposal is only legal at special designated facilities around the country. If your company wants to begin recycling in Atlanta , you may benefit from using trash compactors. Trash compactors can help you reduce your waste, and recycle more efficiently, by cutting down on the need for garbage bags. Trash compactors do not take up much space, and are more efficient to use than other methods. Here is some helpful information about what trash compactors are, and how they work. What is a Trash Compactor? Trash compactors look somewhat like large metal dumpsters. They aid in waste disposal and recycling, and can help households or companies reduce their waste and save money on labor costs. A trash compactor crushes trash into very small, manageable pieces using a metal ram. These pieces are then transferred to a trash compactor bag. The bag can then be picked up by a waste management company or trash removal company, which will take it to the dump or a recycling center. Compactors are very simple to operate. The metal dumpster has a bin that you open to throw trash or recyclables inside. Bottles should be placed into the bin first, and should be laid on their sides. Large pieces of garbage, including metal and cans, should be placed in the center of the trash compactor. Compactors have sensors that will alert you if you have loaded something into the bin incorrectly. Once the compactor is 50% full, you simply close the bin and press a button or flip a switch to start the compactor. What Can You Put in a Trash Compactor? Compactors are perfect for compressing recyclable materials before they are picked up by a waste management or recycling company. 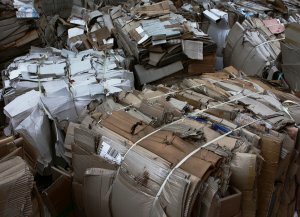 They are particularly helpful for scrap metal recycling, cardboard recycling, and plastic recycling. You should not put glass or chemicals into a trash compactor at any time. You can put food waste in a trash compactor, but the compactor will then need to be cleaned regularly to avoid odors.